You’ve probably heard us mention it a bugillion times on our instagram, but what does it actually do!? 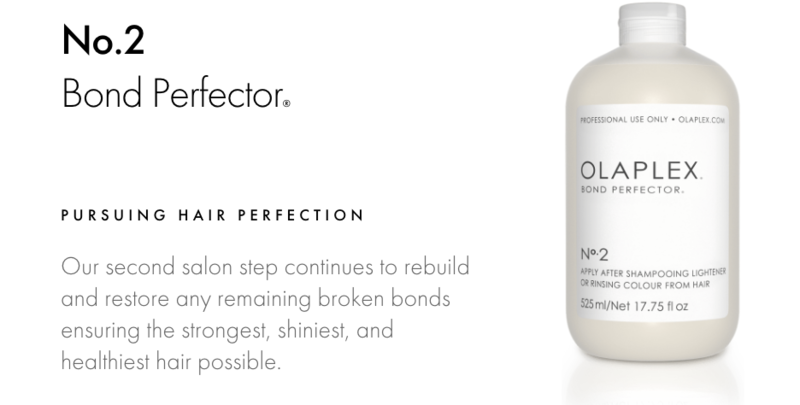 Olaplex in-salon treatment is a three-step hair repair treatment. 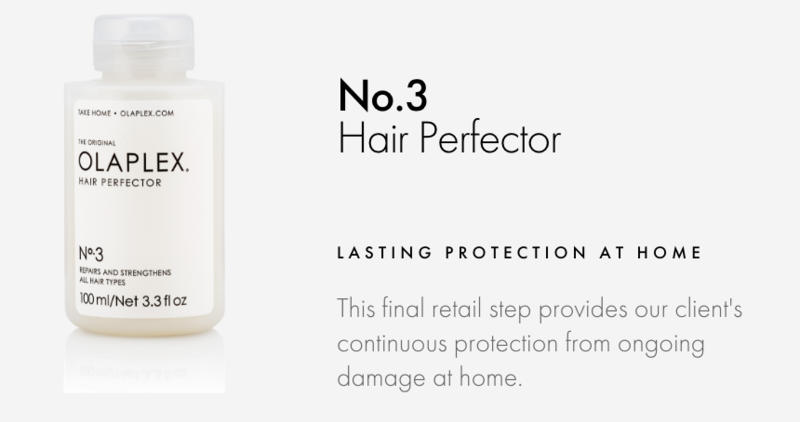 It restores compromised hair and prevents hair from the damage of chemical and heat processes. When added to lightening (bleaching) services it can often allow your hair to be lifted lighter with less damage, providing the ultimate breakage insurance. The strength of your hair is made up of connected bonds that are broken during thermal, mechanical and chemical services. 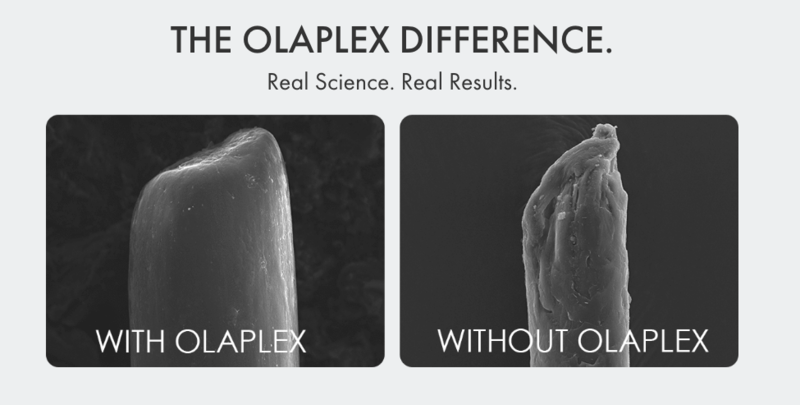 Olaplex reconnects those broken disulfide sulfur bonds in the hair and cross-links them, making them even stronger, working on a molecular level to seek out broken bonds. 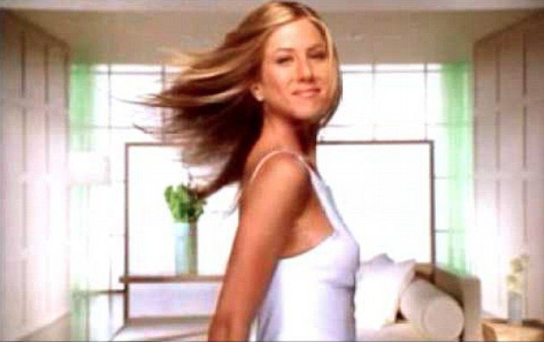 The bonus benefits of this strengthening is that it gives your hair a much more stable foundation for services such as keratin smoothing treatments (watch this space!! ), protein and moisture treatments to reach their maximum potential and gives colour more to anchor to, allowing colour to last longer. 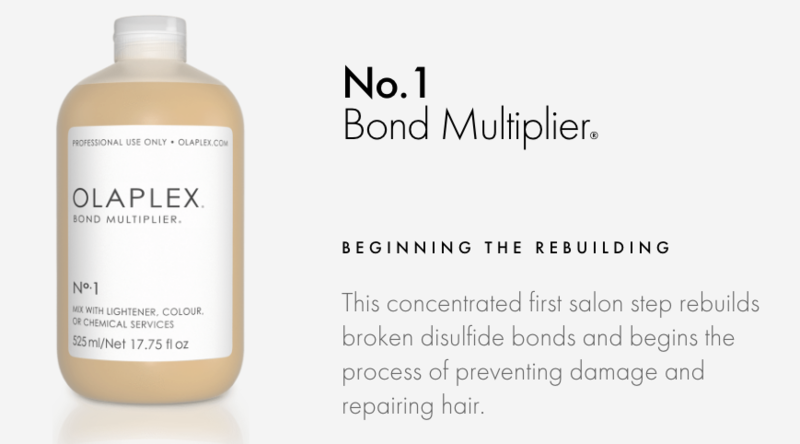 As well as being added into colour, Olaplex No.1 and No.2 can be applied directly to your hair for an ultra concentrated repairing 2-step salon treatment which can be topped up with it’s second phase, No.2 whenever you feel the need! In addition to this in-salon service there is a third step at home No.3 stage that you can use weekly to maintain the benefits of the in salon service. Salon Stuff: The product lines we carry.